Summer is finally here, and the warmer days mean plenty of opportunities to relax in the garden. Your patch is sure to see plenty of action over the next couple of months, from backyard barbecues to laid back evenings relaxing outside with a drink. Now is the perfect time to get it looking great: and you really don't need to break the bank to do it. 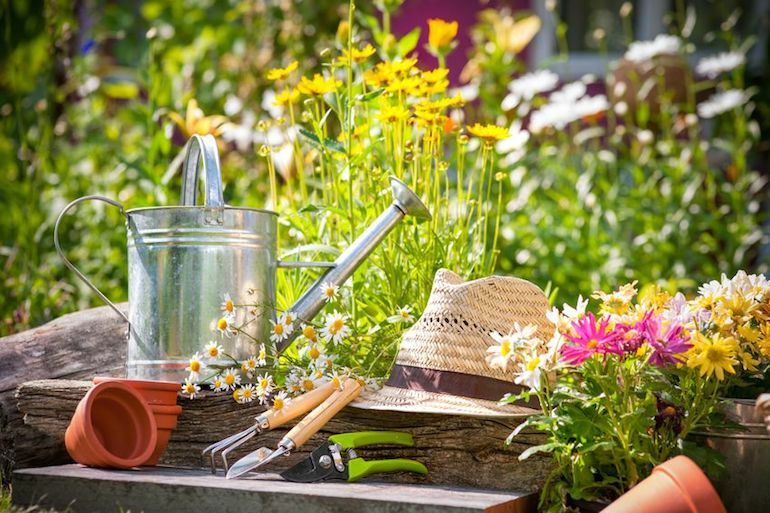 If you're wondering how to save money on giving your garden a makeover, these top tips should help. You shouldn't start any makeover project without having a clear plan of action. Sit down with a pen and paper first and plan out your perfect garden, deciding how you want to use your space. Do you want to have a patio area near your back door? An elaborate floral display underneath the kitchen window? Once you decide how you want the garden to look, it's time to work out how that fits into your budget. If you're worried about overspending, you can use our free Money Dashboard budgeting software to help you stick to your budget when you're purchasing supplies. Mowing the lawn, brushing the patio, painting fences, and tidying up the borders can make such a big difference to the way a garden looks. It acts as a bit of a mini-makeover, giving you a blank canvas to work with. Once the garden has been neatened up it's easy to see which areas need to be decorated, and which areas actually look good already. Reusing old junk to decorate the garden not only saves money, it's also good for the environment. One way to do this is to sink old wine or beer bottles into the soil to make a border around your flower bed. It saves you a trip to the bottle bank, and when the light hits the glass it looks really pretty. Just remember to give the bottles a thorough rinse first. Old wooden crates can be painted and hung on the wall as shelves to display pot plants, watering cans, and candles. Old jam jars can also be repurposed into outdoor candle holders. Place them around the patio and plop a tea-light into the bottom. Every garden should have a feature that draws the eye. You can pick up fountains, statues, and trellises at the garden centre, or you can create your own feature using a range of plant pots. The idea is to create a lot of depth, so use pots of differing heights, and place them together in a cluster. As well as planting flowers in these, it's also a good idea to plant some herbs. Basil springs up fast during the summer months, so as well as having a pretty feature you'll also be saving money on herbs all summer.